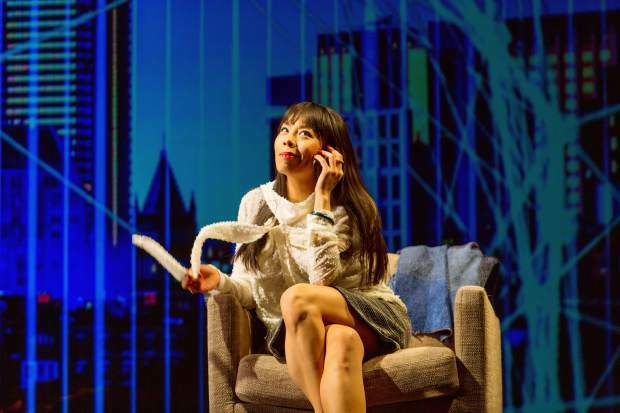 The other female character is an Asian-American research psychologist played by Esther Chen. Dr. Ginny Yang is another ball of pent-up frustration as she navigates the ninnies and nonsense all around her. Yang is the most enigmatic of the four, a minority with a strong belief that she's got to be better than everyone else just to stay even, and fully equipped with a full suit of emotional armor. Chen plays her with great skill, moving her from perhaps the least sympathetic character to the one you might most want to offer a hug.